This is a large 240 page paperback. 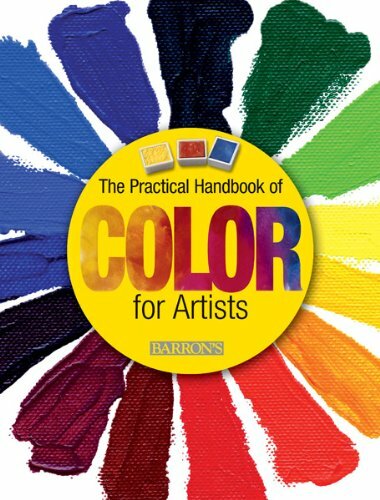 It's quite an enjoyable and informative book that covers many different topics on colours. And it has both theory and tutorials, and lots of nice pictures. Each 2-page spread talks about a certain aspect of colour. Some of the topics included are the colour wheel, various colour schemes, various colours separately, colouring mixing, painting techniques, and tutorials on painting different subjects like sky, water, shadow, emotive aspect, and more. The several tutorials included are on different medium, coloured pencils, oil, watercolour, etc. In terms of depth, it cannot match books that cover specific topics, maybe such as colour schemes. But the variety of topics included makes this book a nice resource, a beginner's guide to what colour has to offer, and the different techniques available to explore. Recommended to beginners and intermediate artists.